Light and comfortable with the added benefit of Thinsulate, these gloves are the perfect cool-weather accessory for work or play. 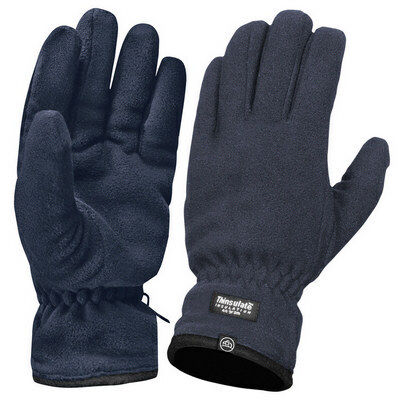 Product features: 100% Polyester Anti-Pill Fleece | Versatile Midweight Gloves | Soft 100% Polyester Fleece with the Addition of 40g Thinsulate for Additional Warmth | Elasticized Cuff for Comfort Fit & to Help with Heat Retention. Black | Navy | Red. Colours available: Black | Flame Red | Navy. Product Sizes: L | M | XL. Decoration options available: Laser Etch Gloves. Decoration areas: Laser Etch Area, Back of hand area: 65mm x 65mm.